So last night I got The Professional achievement on COD5 (World at War) and I was so stoked! 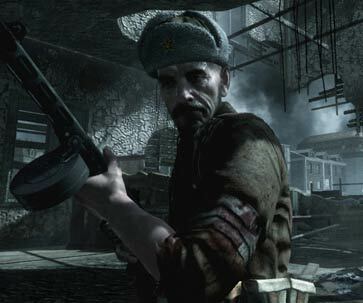 This is a pretty hard one to get, you have to take out all of Amsel’s troops in “Vendetta” with just 5 shots of your Mosin Nagant – without reloading. For the uninitiated, there are 7 soldiers and an attack dog to kill – with just 5 bullets! I realize this makes me seem a real gamer geek but I don’t care, I am so chuffin pleased! It’s been double XP weekend on COD5. Not being one of those (predominately american) chaps who spend all day on XBox Live, I only managed a couple of hours over the weekend, leveled up a couple and unlocked some key perks, e.g. Martyrdom, Bouncing Betty and the Mosin Nagant. Could do with a scope for the Mosin Nagant though, can’t hit a barn door! Martyrdom is great, unlike the guys playing COD4 most of these haven’t twigged the need to step back smartly after a knife attack! PS. I still hate the attack dogs! Unless they are on my side in which case it’s fun following them and gunning down the poor bloke they corner. Been there myself, after all! The Waiting is Over, Comrade! 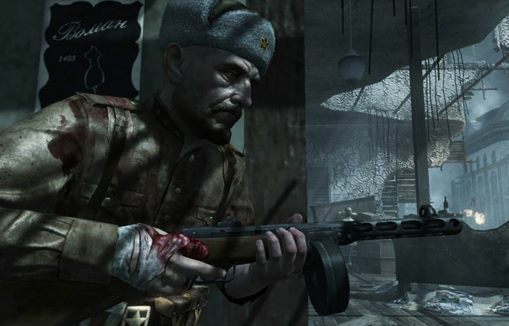 COD5 is here and it’s awesome. I’ve started playing the story mode and it is a superb game. The graphics are stunning and the atmosphere it creates is wonderfully realistic. Treyarch have done a super job and I love the special moments where they pay homage to films, e.g. the “Saving Private Ryan” achievement and the opening Russian fountain scene from “Enemy at the Gates”. I’ve only had time to play one game on-line – the maps are huge and it’ll take a while to get me up to the stage I am with COD4. Early days!